We may have seen the last of Will Smith as Deadshot, but that doesn't mean we've seen the last of the character in the DC movie universe. 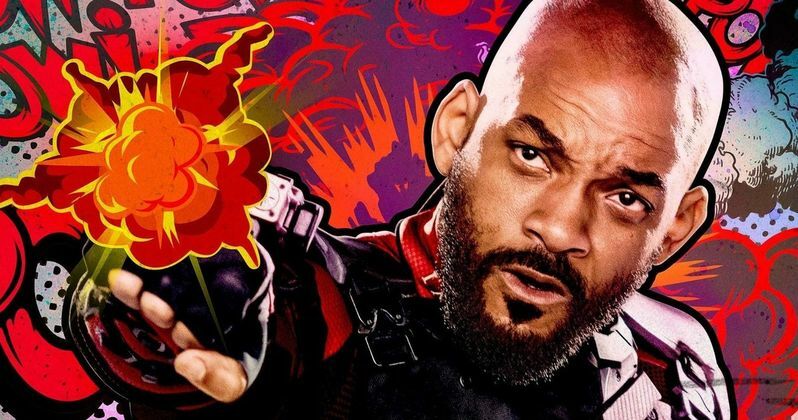 We recently learned that Smith has decided not to return for James Gunn's The Suicide Squad, which will serve as a soft reboot of the franchise yet will still take place in the same universe. However, Warner Bros. is now mulling over the idea of recasting him, or just swapping in a new character entirely. The report of Will Smith's departure initially broke last night. The reporter that broke the story later took to Twitter to reveal that he had left a rather interesting and potentially crucial detail out of the story, but decided to share it with his followers after the fact. Here's what he had to say about it. "One item I forgot to add to story, sources say execs are now deciding whether they will recast the role or replace Deadshot with a different character from the DC universe to join the team in sequel." Previously, it was revealed that James Gunn, who is writing the screenplay and directing the movie, will bring in a new team not featured in David Ayer's 2016 Suicide Squad. Though, Margot Robbie is expected to reprise her role as Harley Quinn, so there is room for some crossover. Given Will Smith's star power, it's understandable that they were going to aim to bring him back as well. It's said the split was amicable and came down to scheduling issues. If Gunn has Deadshot already written into his draft, casting a new actor would seem to make at least some sense. We've seen this work in massive, shared universe superhero movies before. Terrence Howard starred as Rhodey in the first Iron Man and was replaced by Don Cheadle in the sequel. Cheadle has played the character in subsequent entries in the Marvel Cinematic Universe and that has worked out quite well for everyone not named Terrence Howard. Granted, Will Smith is one of the most recognizable stars on the planet and carries with him a certain, some might argue irreplaceable, charisma. Still, recasting isn't impossible and, with production not expected to begin until September, they've got time to figure it out. The other option, and what would seem to be the more likely option, is to bring in a different character from the pages of DC Comics to fill in for Deadshot. There have been many characters who have been affiliated with the team over the years, so there would be no shortage of options. One possibility is Deathstroke, who is already cast with Joe Manganiello teased throughout the production of Justice League and pne tome positioned to be the villain in The Batman. We've only seen the character show up in the Justice League post-credit scene. At the end of the day, that may be easier. We'll be sure to keep you posted as any additional details on the project make their way online. The Suicide Squad is set to hit theaters on August 6, 2021. Be sure to check out the original post from Justin Kroll's Twitter account below.